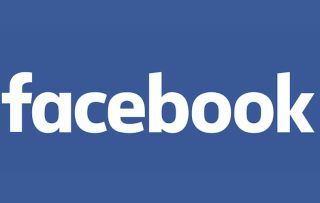 Facebook has announced its new TV app | What Hi-Fi? Facebook will produce television-like content in a move that would see the social media company compete with the likes of Netflix and Amazon. The app will let users "watch videos shared by friends or Pages [they] follow, top live videos from around the world, and recommended videos based on [their] interests." The social media giant is supposedly in talks with media companies to provide "TV-like" shows that could be 10 minutes in length. Currently, Facebook users watch 100 million hours of video content a day, according to the company's Q4 2016 report. In comparison, YouTube, arguably Facebook's biggest competitor in terms of video content, has said that its watchtime has been growing 60 per cent year-on-year, with a total of around 650 million hours per day. Apple is also producing its own content, including Carpool Karaoke, which will be released on Apple Music. The company has also hired Timothy Twerdahl, the ex-head of Amazon Fire TV, as vice president in charge of product marketing. Having an app on Apple TV and the Amazon Fire TV Stick means Facebook will face competion from other video-streaming services such as Netflix and Amazon Prime Video, as well as original content from Apple itself. Should Facebook decide to produce its own content, it will be interesting to note how Facebook tracks the metrics of these shows: in October 2016, Facebook said it had 8 billion daily video views - but it counts a 'view' as any video that has been autoplayed for three seconds. Furthermore, the highest quality video that can be uploaded to Facebook is Full HD (1080p), but some users have complained that occasionally it will be downscaled to HD Ready (720p). It's unclear whether Facebook will provide 4K and HDR content, as is available on Amazon, Netflix and YouTube.